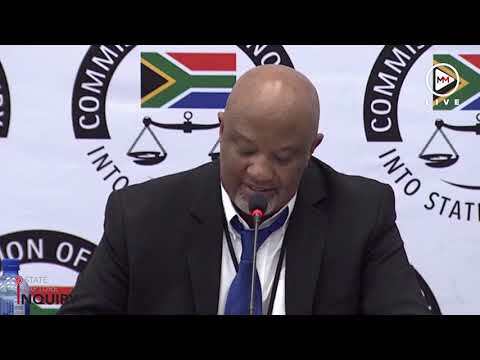 Image: ALON SKUY Former deputy finance minister Mcebisi Jonas faces tough questions to determine whether it is true that the Gupta family wanted to bribe him to accept an offer to become finance minister at the Zondo commission of inquiry investigating state capture. Ajay Gupta allegedly threatened to kill Mcebisi Jonas if he ever disclosed the offer to make him finance minister and pay him a R600-million bribe. Jonas did it anyway – first in a public statement and then to former public protector Thuli Madonsela. Times Select understands that when Jonas takes the oath before Judge Raymond Zondo on Friday‚ he will‚ for the first time‚ publicly provide a full account of the meeting in October 2015‚ including how Gupta allegedly threatened him after he declined the bribe offer. Jonas will be the second witness at the state-capture commission of inquiry. For almost three years‚ Jonas’s life has been on hold. On October 23‚ 2015‚ the then deputy finance minister went to the Hyatt Hotel in Rosebank thinking he would be meeting former president Jacob Zuma’s son‚ Duduzane. A short while later‚ Duduzane took Jonas to the Gupta compound‚ where businessman Fana Hlongwane also arrived. Jonas will tell Zondo about his encounter with a Gupta brother‚ whom he believes was Ajay‚ and the astonishing conversation that ensued. It turned out to be a bizarre screening interview so that Gupta could decide whether Jonas was worthy of being their lackey after Nhlanhla Nene would be fired as finance minister. At the time‚ Jonas was also chairman and non-executive director of the Public Investment Corporation‚ so capturing him would have been a two-for-one bonanza. He was so disturbed and deflated by the Guptas’ audacity that he wanted to resign. A few days later‚ Jonas confided in Pravin Gordhan‚ then minister of co-operative governance‚ who talked him out of resigning and convinced him to do what would be in the best interests of the country. The next day he told Nene that his head was on the chopping block and what Gupta had said. Despite both Jonas and Nene being dispirited‚ they resolved to stay in their posts and fight on. All three would eventually lose their jobs as former president Jacob Zuma purged the principal opponents of state capture to deliver the National Treasury to the Guptas. Ironically‚ Gupta’s offer to Jonas in 2015‚ and Zuma’s decision to fire him and Gordhan in March 2017‚ are perhaps the two main triggers of the public push-back against state capture that led to the president ultimately being recalled. Five months after the Saxonwold meeting‚ Jonas made a public statement confirming that the Guptas tried to buy his loyalty. This tore away the shroud of secrecy around the shadow state created to redirect funds from government departments and state-owned enterprises to the Gupta network. Other people‚ such as former CEO of Government Communication and Information Systems Themba Maseko and former ANC MP Vytjie Mentor‚ came forward with information; former public protector Thuli Madonsela was asked to investigate state capture‚ and civil society began mounting a fightback. The Save South Africa campaign was launched. But Zuma was still politically invincible and the Guptas remained untouchable. Jonas was restless‚ since exposing the Guptas’ attempt to make him their minion was not enough to dislodge their project‚ which had tentacles across the state. In March 2017‚ he met Mark Swilling‚ a professor in sustainable development at Stellenbosch University‚ and urged him to rally other academics to investigate how state capture had manifested. A few weeks later‚ the axe fell on Jonas and Gordhan. Before leaving the National Treasury‚ they challenged South Africans to “connect the dots” about the political project enabling the looting of the state. Since then‚ that has been Jonas’s fixation. He resigned as an ANC MP‚ began conducting research and has written extensively on the phenomenon of state capture and how to rebuild a credible state. Swilling and a group of other academics produced the “Betrayal of the Promise” report on what they termed a “silent coup”. The South African Council of Churches released the report on its Unburdening Panel that received information from victims and perpetrators of state capture. The publishing of the Gupta emails threw up vast amounts of information on how state capture was executed‚ increasing public pressure for a commission of inquiry. Madonsela’s report in October 2016‚ which initially proposed the judicial commission‚ confirmed that the Guptas had improper influence over the government and political decision-making. The report detailed what allegedly took place during the meeting at the Gupta residence‚ based on her interview with Jonas and cellphone records. Last month‚ Duduzane Zuma was charged with corruption relating to the bribe offer to Jonas. The state claims Zuma acted “in common purpose” with Ajay Gupta to offer “an unauthorised gratification to a public figure”. He denies this happened. Former president Jacob Zuma repeatedly denied knowledge of the incident. “I appointed Jonas as a deputy minister‚ I have never offered Jonas a ministry. Ask Jonas or Guptas about this offer... Where do I come in? I have no business with that‚ absolutely no business‚” Zuma said when questioned in Parliament. The Guptas denied a meeting had ever taken place with Jonas. However‚ in a letter to Madonsela‚ Hlongwane confirmed that they were at the Gupta residence and a member of the family “entered the room briefly and then left”. He denies any offer was made to Jonas. After Cyril Ramaphosa became president there was talk of Jonas going back to the government‚ the position of commissioner of the South African Revenue Service mentioned in particular. But Jonas has remained on the political periphery‚ agreeing only to become one of Ramaphosa’s investment envoys. Jonas became politically active at the age of 14‚ was involved in building underground structures in the Eastern Cape‚ and played a key role in establishing the United Democratic Front in the province. He joined Umkhonto we Sizwe in exile‚ training in Angola and Uganda. He served in several positions in the Eastern Cape government‚ including as CEO of the Eastern Cape Development Corporation and as an MEC. He was deputy minister of finance from May 2014 until March 2017. He became a member of the MTN board as a non-executive director in May.